PT Sarana Multi Infrastruktur (Persero) - PT SMI (Persero) or commonly abbreviated as "SMI" is an well-established state-owned company in Indonesia that is involved in infrastructure financing. The Company was formed in 2009 and has its business activities focused in 3 main sectors: Financing & Investment, Advisory, and Project Development. 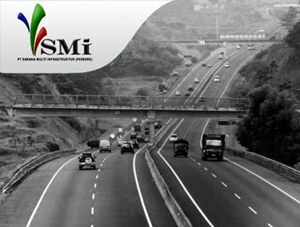 SMI is well known nationwide as a catalyst in facilitating Indonesia’s infrastructure development. SMI is a non listed state-owned company and is wholly owned by the Government of Indonesia through the Ministry of Finance. SMI has its legal domicile in Jakarta and its head office is located at Sahid Sudirman Center, 48th Floor - Jl Jenderal Sudirman No 86 Jakarta 10220. The Company now supported by 1 key subsidiary company, namely PT Indonesia Infrastructure Finance (IIF). SMI’s performance in 2015 improved over the previous year. SMI posted Rp 743.83 billion in total operating revenues for the full year of 2015, a 24.43 percent increase from the same period of last year (Rp 597.74 billion in 2014), according to PT Sarana Multi Infrastruktur (Persero) Annual Report 2015 as quoted by JobsCDC.com. Referring to its annual report, total net profit of SMI grew by 24.85% from the previous year, from Rp 244.6 billion to Rp 305.4 billion in 2015. Minimum Bachelor or Master Degree (S1/S2) from a leading university, majoring in Economics, Law, Finance, Accounting, Banking, Business Studies, Administration, Management or equivelent. Hands on experience in developing or reviewing credit/financing or investment policy and procedures. Posess professional certification in CPA, CFA, FRM or advanced degrees in related field is preferred. Strong knowledge of credit/financing proces flow. Strong knowledge of risk management is a plus. Fluent spoken and written English and Bahasa Indonesia. Hands on experience in developing policy, framework and risk management tools. Hands on experience in reviewing guidelines/policies risk as well as the risks that exist in the organization's business activity. Strong knowledge of risk management and quality assurance. JobsCDC.com now available on android device. Download now on Google Play here. Please be aware of recruitment fraud. The entire stage of this selection process is free of charge. PT Sarana Multi Infrastruktur (Persero) - Credit Policy, Risk Analyst SMI December 2016 will never ask for fees or upfront payments for any purposes during the recruitment process such as transportation and accommodation.